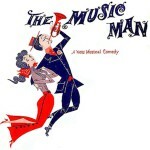 An affectionate paean to Smalltown, U.S.A. of a bygone era, Meredith Willson’s The Music Man follows fast-talking traveling salesman Harold Hill as he cons the people of River City, Iowa into buying instruments and uniforms for a boys’ band he vows to organize – this despite the fact he doesn’t know a trombone from a treble clef. 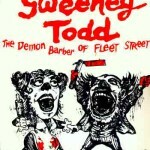 The rare instance of a musical thriller, Stephen Sondheim and Hugh Wheeler’s chilling, suspenseful, heart-pounding masterpiece of murderous barber-ism and culinary crime tells the infamous tale of the unjustly exiled barber who returns to 19th century London seeking revenge against the lecherous judge who framed him and ravaged his young wife. This is the story of hard work, being in the right place at the right time, talent and love. 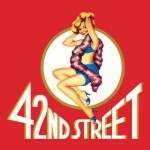 42nd Street is a celebration of Broadway and the people involved in shows. It focuses on aspiring chorus girl Peggy Sawyer, and takes us along her journey.